The Japanese car maker Infiniti revealed its electric sports car, Prototype 9, at the 2017 Pebble Beach Concours d’Elégance at the weekend. The concept car takes inspiration from 1940s Grand Prix racers. The concept car combines a retro style design with latest electric tech. It was hand-built by a small team of technicians at Nissan’s premium sub-brand as an ‘out-of-work hours’ project. The Prototype 9 features retro construction techniques, such as a steel ladder chassis and its body is made from handmade steel panels. 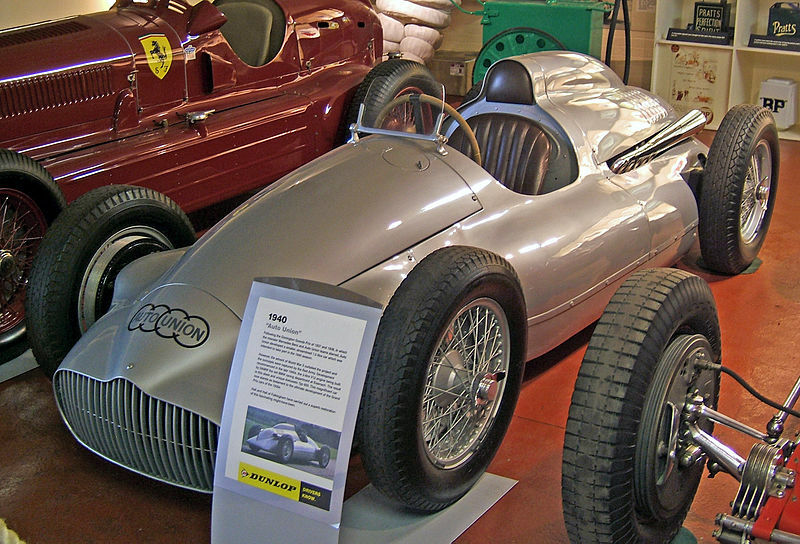 The concept race car has an exposed cockpit, open-wheel layout, 19-inch wire-spoke wheels and the company’s signature sculpted grille. The car is 4,330 mm long and 1,820 mm wide, that is 90 mm shorter than Infiniti’s Q30 hatchback while 15mm wider. The car is an 890kg single-seater featuring a 30kWh high-voltage lithium-ion battery that is connected to two electric motors delivering only 150 horsepower and 320Nm of torque. That power is delivered through the rear wheels. As a result, the race-inspired car is said to be able to silently reach 62 mph in just 5.5 seconds and tops out at 105 mph and the battery will last 20 minutes under heavy track use, according to the Japanese manufacturer. Having in mind all that, the car would not get you very far if you were competing in a 1940s Grand Prix. This entry was posted in Cars, New Technologies and tagged cars, electric vehicles, vehicles. Bookmark the permalink.